The School addresses senior PhD students and experienced researchers with prior working knowledge of DFT. Theoretical and hands-on training will focus on ab-initio calculations of many properties relating to the electron-phonon interaction, for applications in condensed matter physics, materials physics, and nanoscience. 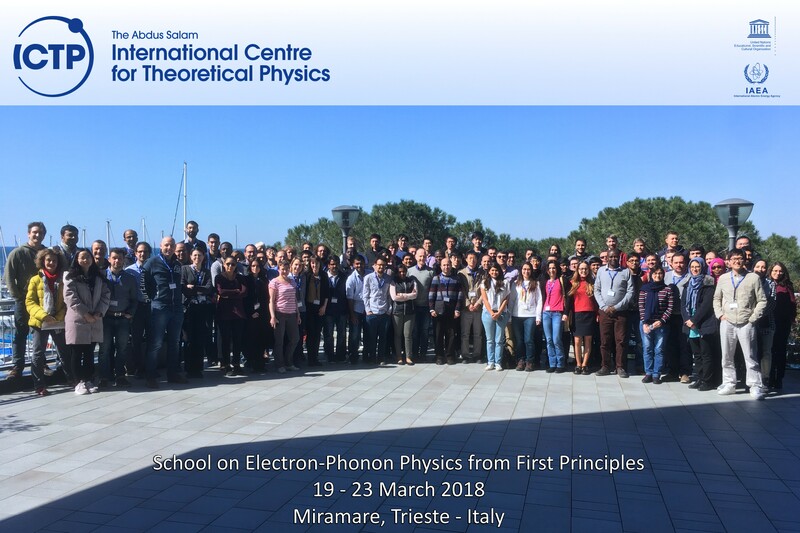 Starting from an introduction to the background on electron-phonon physics and related materials properties from the point of view of ab-initio calculations, we will show the participants how to perform cutting- edge electron-phonon calculations using a suite of electronic structure codes, including EPW, Wannier90, Quantum ESPRESSO, and ABINIT.